Canam subsidiary St Lawrence Erectors has won contracts with a total value of US$27.9 million for two bridge projects in Montreal. The contracts are for the the rehabilitation of the Jacques Cartier Bridge and for the installation of the Lachine Canal Bridge. For the Jacques Cartier Bridge, St. Lawrence Erectors will act as the general contractor for Jacques Cartier & Champlain Bridges Incorporated. Strengthening the bridge involves replacing existing chords and structural bearings with new ones, which will be provided by Goodco Z-Tech - also a part of Canam-Bridges. 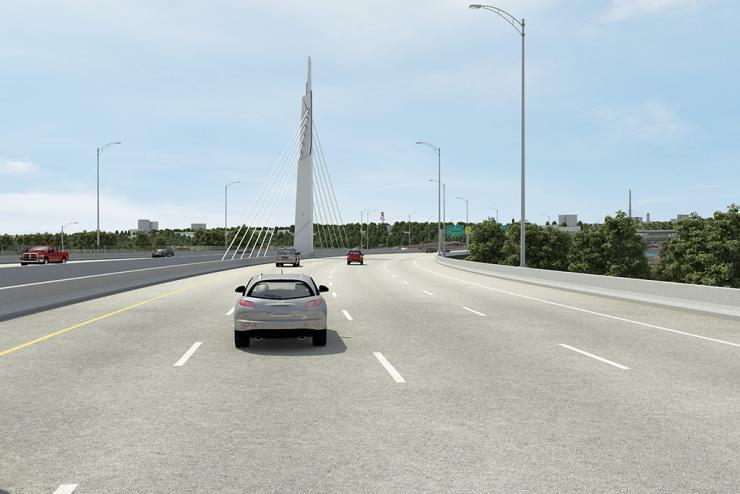 The contract for the Lachine Canal Bridge project was awarded by KPH Turcot and is for the installation of the mast and cables of the cable-stayed bridge, as well as the structural steel and precast concrete slabs for the deck. The work will be done in two phases, starting this year and ending in 2019. St Lawrence Erectors has been part of Canam Group since last year.